That flatter coldly, coldly part. Her price interpreters they come. 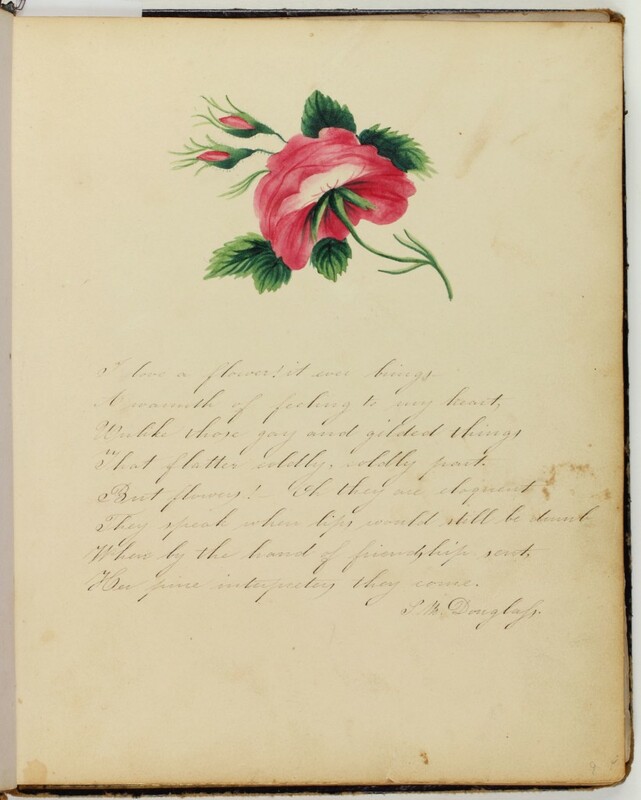 Sarah Mapps Douglass (1806-1882), a Philadelphia African American educator, contributed this transcribed entry about her appreciation of the aesthetic and symbolic value of flowers. Born to a prominent abolitionist family, Douglass taught at various schools for African Americans before starting her own for African American girls in 1834. Douglass was also a founder of the Philadelphia-based Female Literary Society and the interracial Philadelphia Female Anti-Slavery Society. 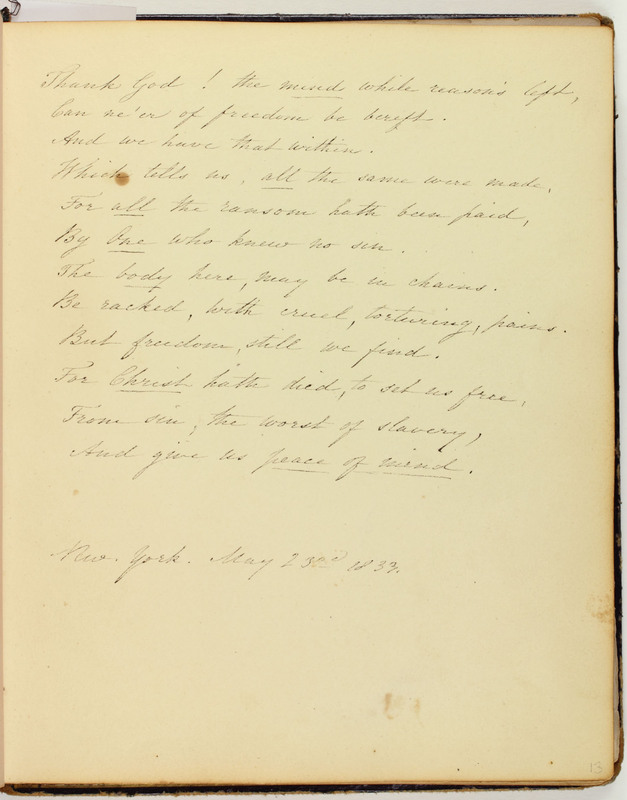 In the poem, Douglass expresses her love for flowers and the various feelings she associates with them. Flowers bring “warmth of feeling” to her heart unlike gifts which are “gay and gilded.” She contrasts the warmth of flowers to the “gay and gilded things” of the world which “flatter coldly.” She implies that flowers have a certain power to communicate ideas that material gifts do not. The value of the flower increases when they are gifted by a friend. To complement the sentiment of the entry, Douglass painted a rose , often viewed as a symbol of love, above the entry.